To promote the conservation of gesneriads through education, research, here exploration, ex situ propagation and habitat preservation. 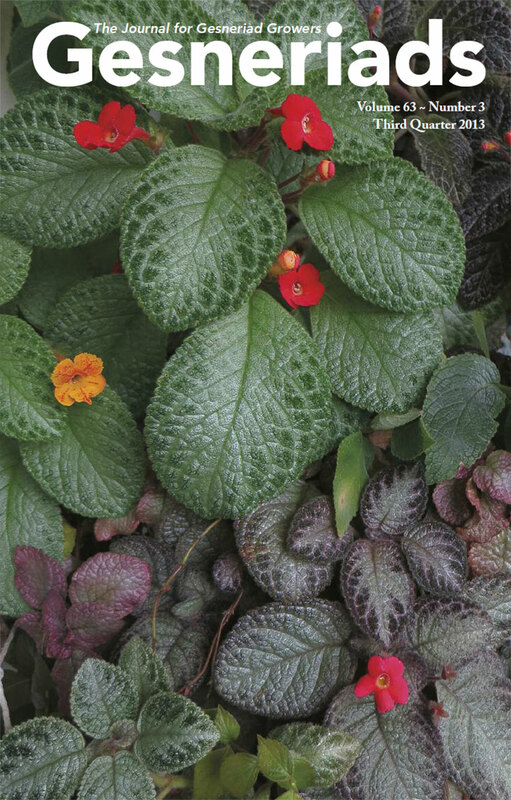 The Gesneriad Society, Inc. promotes and supports the conservation of gesneriads by providing grants from the Conservation Fund to individuals and institutions who seek to conserve gesneriads. This can be accomplished through a variety of actions and projects that directly or indirectly affect the conservation of gesneriads, such as field collection of gesneriads, development projects (e.g. , shadehouses), purchase of growing supplies, education of volunteers, hiring staff or the establishment of a gesneriad conservation center. Individual grants from the Conservation Fund are usually in the range of $500-$2,500 per year (additional funds may be available dependent on the year). Advice on the fundability of the project may be sought from the Conservation Grant Committee Co-Chairs, whose names are listed below. Names, addresses and email addresses of persons who might provide letters of reference or evaluation of the project, if needed. The complete application (emailed/postmarked no later than 1 February) should be sent to the Conservation Committee Chair or the Conservation Committee Coordinator whose name and address appears below and from whom additional information may be sought. The application should be sent as an attachment to an email message. The application will be reviewed by the Conservation Grant Committee and if worthy of an award, a recommendation for funding will be sent to The Gesneriad Society Board of Directos, or President, representing the Board of Directors, who will review the report of the committee for funding. The Gesneriad Society will grant no awards without prior approval by the Conservation Grant Committee. Recipients will be notified by the end of July. A strict accountability of funds must be made to The Gesneriad Society or to the Conservation Committee, and a brief report must be presented soon after the completion of the funded project. The report may be in the form of an article for publication in Gesneriads (or other journal with a brief summary for Gesneriads), and must include an acknowledgment of support by the Conservation Committee of the Gesneriad Society. A copy of the publication or a written final report must be submitted to the Conservation Committee. Grant recipients are encouraged to support The Gesneriad Society with articles, talks, photographs, plants, seeds, and information related to the project. Awards may be renewed to support the continuation of the gesneriad conservation project, or new conservation efforts by the same applicant. Such requests may be submitted following the same procedures for application, provided that a report of the initial project was submitted. Subsequent funding to the same researcher may be less than the initial award to encourage looking elsewhere for funding and to encourage applications by others. The Conservation Committee and/or The Gesneriad Society shall neither be held liable for any action the project leader might take while using the awarded funds nor be responsible for any tax implications of the award.